Let’s start with the cruise ship “victims”. On the cruise ship we have our Friday final girl Rennie, definitely a step down from quality from Tina, as a senior celebrating her graduation aboard the SS Lazarus. Along for the ride is her strict uncle, her favorite teacher, her boyfriend, Sean, all of her classmates, and a stowaway: hockey-masked serial killer Jason Voorhees. 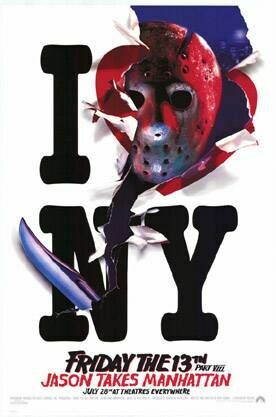 One by one, Jason slowly murders each classmate and sinks the ship, stranding the survivors in New York. 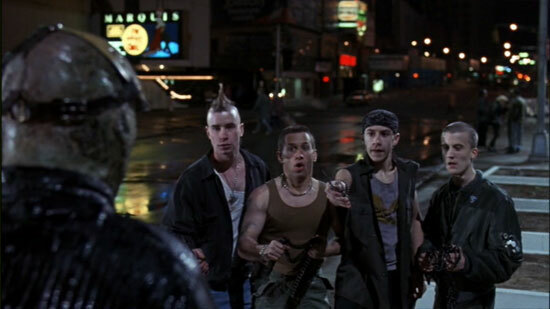 Rennie and the few survivors now must face Jason to save their lives from impending doom.